To learn more, select Read more about subscribing. 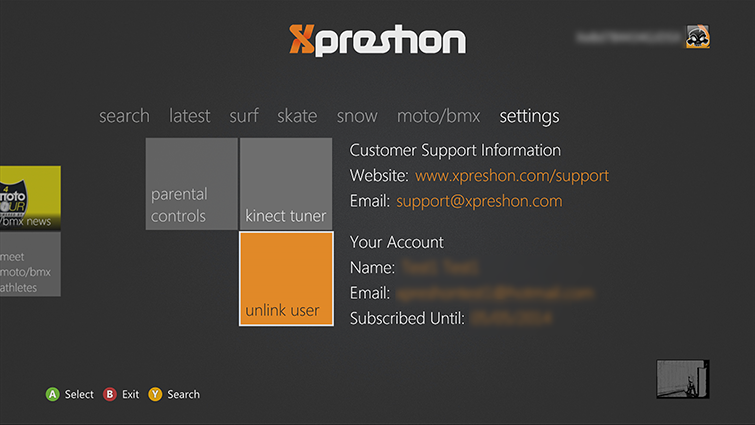 This walkthrough summarizes the sign-up process on the Xpreshon website. 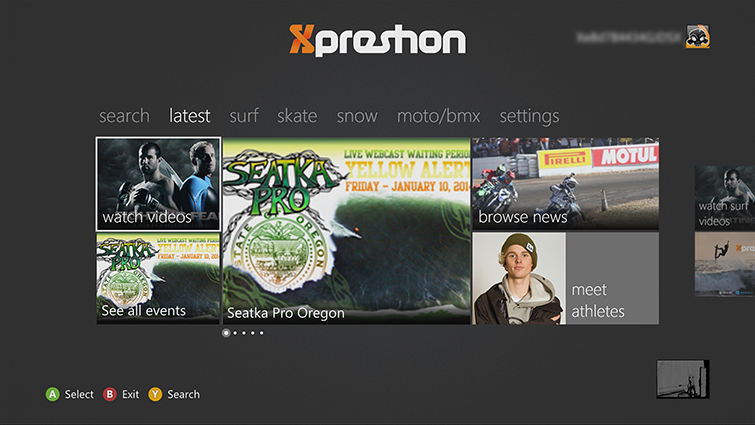 On the latest hub, you can find the newest featured content. 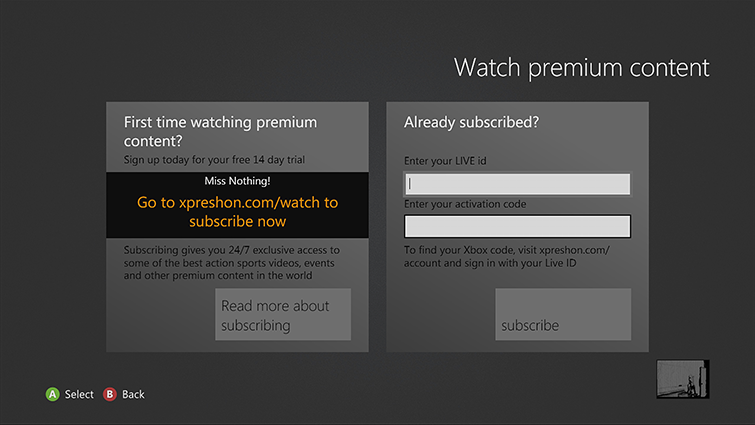 Just select any content you’re interested in to start playing it. 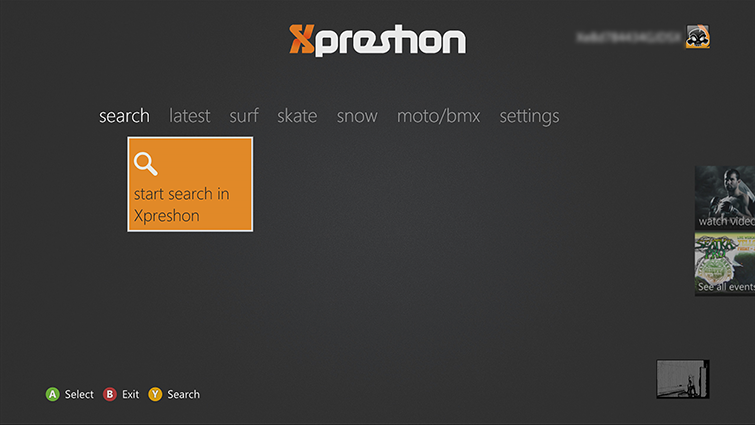 You can also browse by topic. 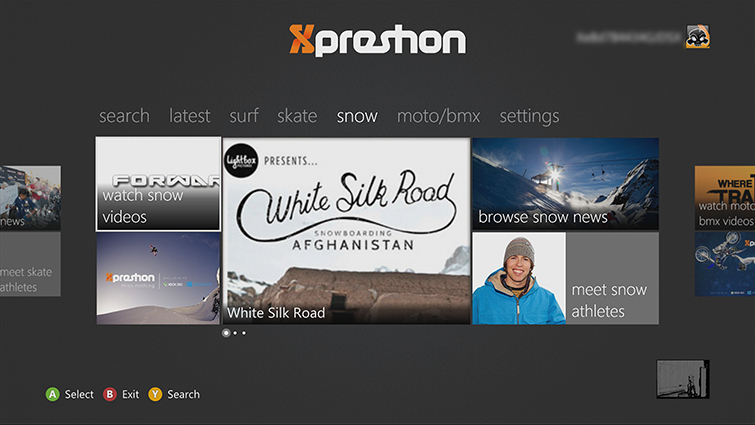 Navigate to the right to select surf, skate, snow, or moto/bmx to find content related to one of these topics. If you use Family Settings to control which movies and TV shows can be watched through Xbox Live on your console, the Xpreshon app will follow those settings. 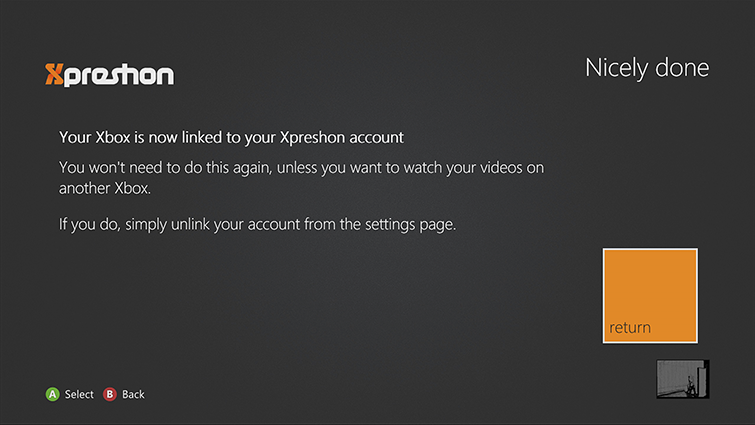 For example, if you prohibit R-rated movies or TV-MA-rated TV shows from being watched on your console, those programs will be marked in the Xpreshon app with a “restricted” icon. To play a restricted item, an adult must enter the Family Settings pass code.